Fig. 5: The FeFET concept compared to other embedded nonvolatile memory (eNVM) when scaled from Poly / SiON technology nodes down to HKMG. 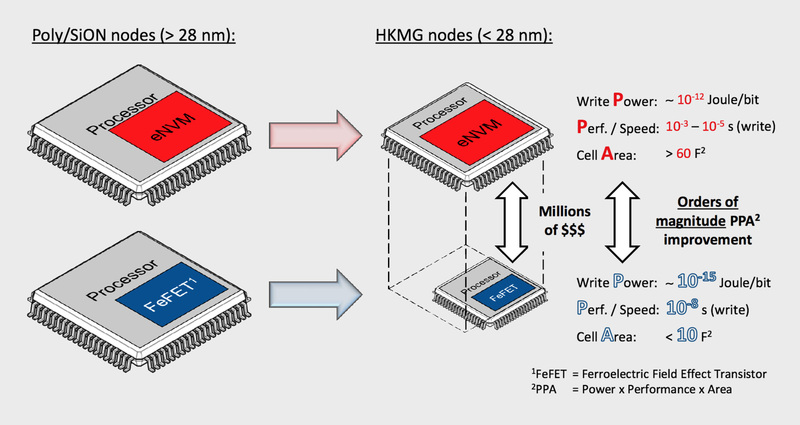 The unique combination of power x performance x area attributes positions the concept as the ideal solution for semiconductor chips addressing the Internet-of-Things (IoT).